Hello gamebook lovers! 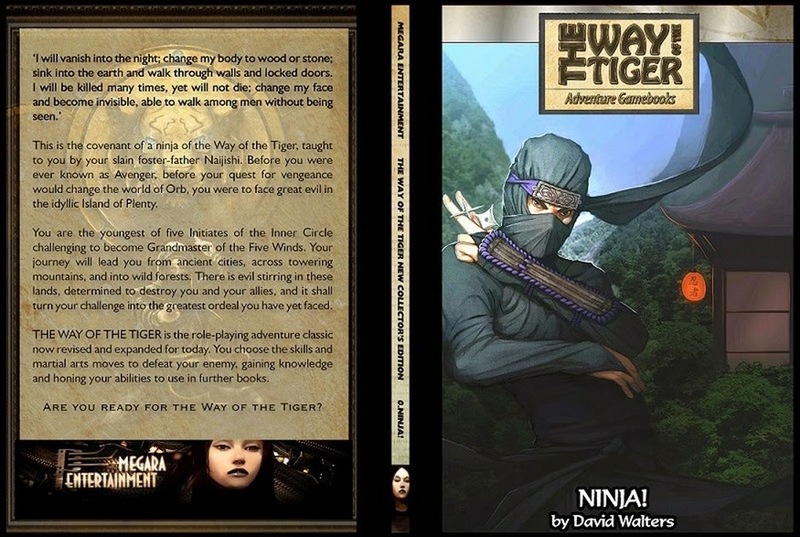 Today we have an author of many awesome books, who has recently turned his hand to producing awesome gamebooks - this is David Walters, writer of books 0 and 7 of the Way of the Tiger series. You can find David's Amazon page here. You've written lots of books with a Japanese/ninja feel. How did you feel when you were asked to do Way of the Tiger? It felt like a natural progression from some of my other work, and a great honour as a fan of the series. I hadn't written a gamebook before so that was an added challenge. I wanted to explore more about Avenger testing out ninja skills, there were ways to do this that the series hadn't touched yet. Plus I wanted to get Avenger off that cliffhanger ending from book 6! What kind of research did you do to do books 0 and 7? I had a lot of research of Japanese mythology which I used for book 0, especially for the monsters, but was sure to give them an Orb twist. I had already fleshed out the Island of Plenty for the Orb RPG, so I used that too, drawing inspiration from some old travel books set in Japan. Orb is not meant to be an oriental setting, but this part if the world is and it was fun to detail it. I was knee to include a nightingale floor, a Jorogumo etc. to the series as it hadn't been done before. For book 7 the main source material was book 6 and the Orb encyclopaedia, plus Talisman of Death. There's a paragraph in book 6 that specifically mentions other monsters in the Rift including plague trolls, and all those got a mention or appearance in book 7. A small but significant part of Talisman of Death was set in the Rift, and it was too good an opportunity not to link to it. I also looked up people's favourite book of the series, and book 3 was a strong contender as it had genuine multiple paths and a fun ending of gathering support to overthrow the usurper - I used that as inspiration to write the city section of book 7. There were lots of loose ends by the time you reached book 6. Were there any that you couldn't address in book 7? There were a few loose ends from previous books that I didn't go back to, such as that Avenger could have caught lycanthropy in book 3. I think I caught all the loose ends from book 6, I certainly meant to. There were so many permutations to draw together whilst still making decisions count. I had a fan saying they wished they had an alternate path to help Foxglove in book 7, and I understand that if you had kept her safe all through book 6, but given her treacherous nature I didn't think it should change the final outcome too much. She does have her moments in the book regardless. What did you find harder to write - a prequel or a sequel? The prequel was harder simply because I'd never written a gamebook before, but also it has to directly fit the rest of the series. For a sequel, even one with a lot of loose ends to tie up, at least you have a little more freedom to go in another direction. Ideally if there was a book 8 we could really innovate from a much cleaner slate. Are there plans to release further Way of the Tiger books? There is the Orb RPG coming this year, which not only allows you to run role-playing games but also has a huge amount of background material on the Way of the Tiger, a sourcebook if you like. 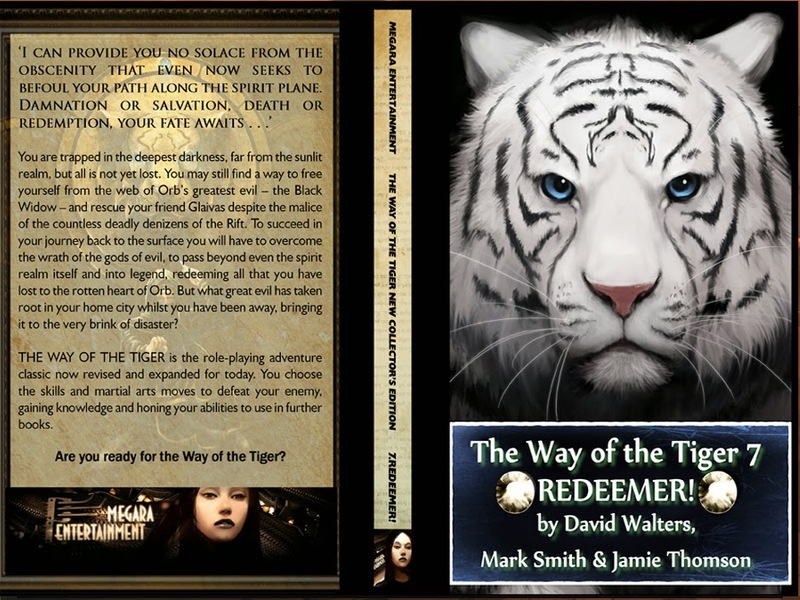 I'd like to write book 8 of the Way of the Tiger as Avenger's story isn't finished yet, those who read book 7 very closely may realise why, particularly where the gods were mentioned. 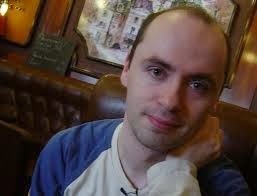 The decision to sanction more books or not has still to be made by Mark Smith. The Orb RPG and my novels mostly, although a few other interesting options are available. If anything I have too much on, which is a nice position to be in!